First time poster looking for some advice. 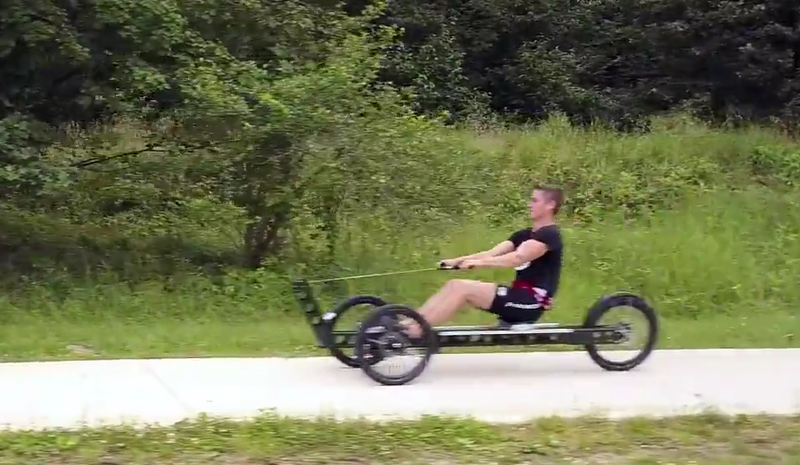 I want to make a rowing bicycle. complicated but also not very interesting. some understanding of mechanics but no real engineering experience. I've got basic tools and can get used bicycles for next to nothing. Looking for ideas and technical help to make a rowing bicycle. 1) Converting pulling motion into rotational motion. much resistance that doesn't convert to rotational motion. and once that is sorted, begin working on turning. Anyone want to build one with me and share ideas?